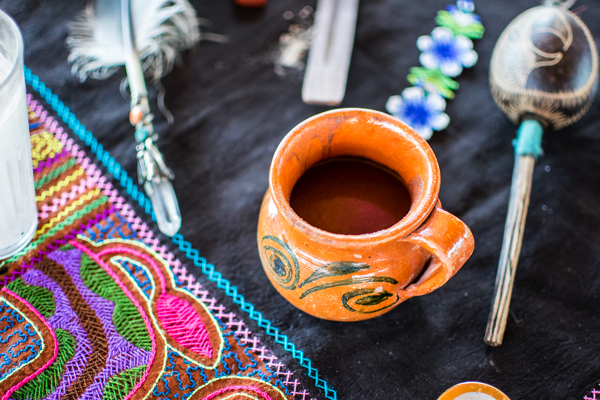 Drinking the traditional medicinal warming cacao, calling in New Life Force Energy , letting go of the old that no longer serves us in life; Inviting in the new. We need rituals in our modern hectic lives;and the sacred, holy contact we find by going inwards in meditation and awareness together. In the presence of a group witnessing , it is more powerful and effective. 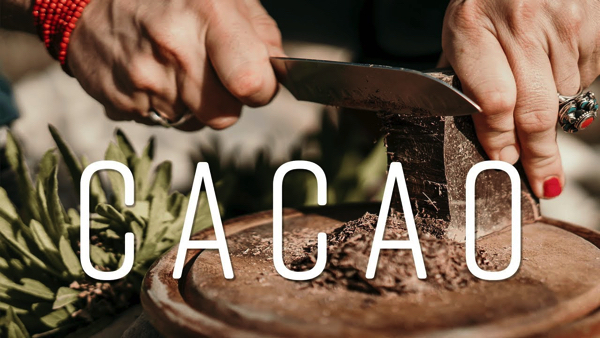 The Raw Cacao contains so called «Bliss Chemicals», Anandamines, which work with our hearts ability to expand; enhances mood and heightens awareness. 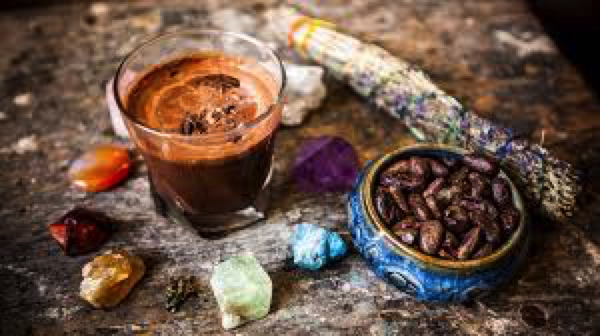 It is believed that The Spirit of Cacao has the power to reveal and unlock the secrets of the soul, bringing forth our Ultimate Truth and Divine Authenticity. 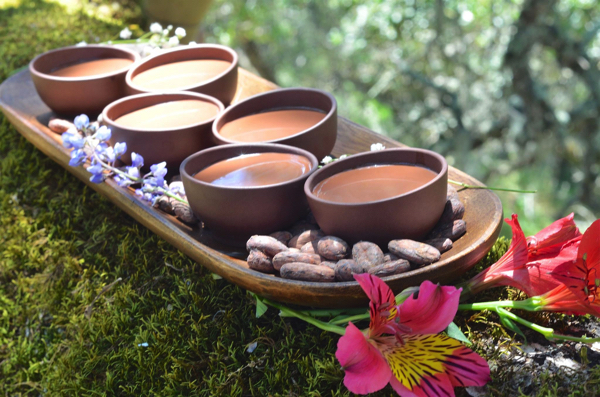 After The Sacred Raw Cacao Ceremony, you will be invited to lie down, relaxing in a warm , cosy space, and you will be led through a Sound Journey with beneficial essencial oil fragrances ; A Sound / Vibration Meditation. It is a subtle, slow journey of the senses, where you can open to the healing frequences that affects your body s tissue and cells.The gongs has the ability to change the chemistry of the body. They affect us on a cellular level, purifies and alters the cells, heightens the immune function, calms down the nervous system and uplifts the spirit. Through this experience we want to re connect all the parts of us into One Focal Point of Conscious Awareness , via the senses, Into a state of Self Love. A Journey Into You, where you dedicate the time, intention and space to your present and future self in this ritual. The emphasis will be on finding ways to fully live with less suffering , in joy, contentment, and in graceful gratefulness of this life we are given, and for the precious moments we share together. Please wear whatever you fancy , you can also dress up for yourself to this ceremony in something you find a beautiful expression of celebrating your existence. Velg hvor du vil gå!